The Boot Barn Hall at Bourbon Brothers box office will open one to one and a half hours prior to each event. We sell tickets to events at the Boot Barn Hall box office and online at www.bootbarnhall.com. To purchase tickets via phone, call ShowClix Customer Care at 1-888-718-4253 (Mon-Fri 7 AM to 7 PM MST). We also work closely with several media partners whose ticket purchase links will direct you to one of these sources. If you purchase your tickets elsewhere (online or in person) please be advised that the ticket you purchase may not be valid. Photocopies of print-at-home tickets are also considered invalid. Anyone possessing an invalid ticket will be denied access. 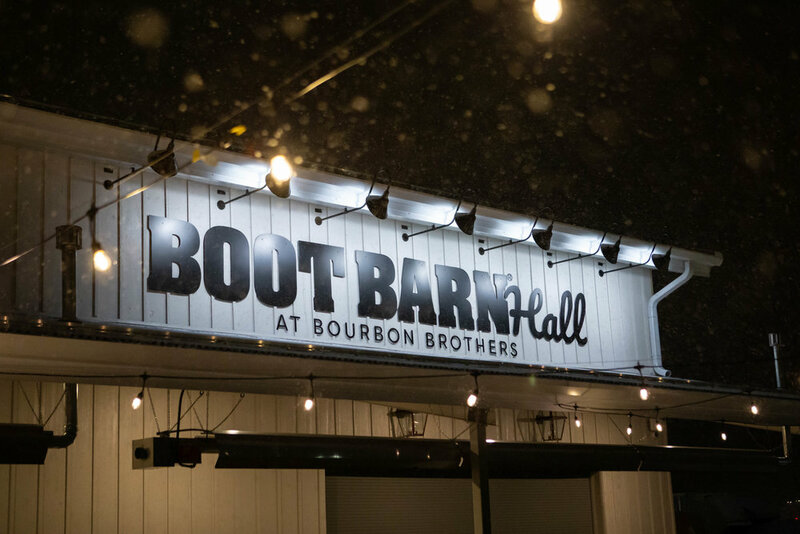 Boot Barn Hall at Bourbon Brothers assumes no risk or responsibility for tickets purchased from a non-approved source and no refunds will be given on any invalid tickets for any reason. Boot Barn Hall at Bourbon Brothers reserve the right to deny entry to the facility on any ticket that is purchased through non-approved sources. Tickets can be purchased 24 hours a day online, however, online ticket sales will end a half an hour before showtime. Please visit the Box Office to purchase tickets within one and a half hours of the beginning of any show, if available.